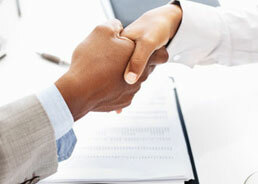 Process servers play an integral role in the expeditious and smooth flow of your cases. Hiring the best reduces your exposure, limits your liability, saves time, increases productivity and ultimately creates a better experience for you and your clients. First and foremost hire the best. Research the company and make sure their integrity is beyond reproach. You are entrusting them to play an important role in the judicial process. If possible, send the service documents via email. The job will get started faster, there will be a paper trail and there’s no opportunity for the documents to get lost in the mail. Know the Maryland Rules of Procedure. Don’t allow the server to make any judgment calls. If an original MUST be served let the company know that they are coming in the mail and follow up to make sure they are received. Email your documents in the order in which you would like them served. Always let the server know if the servee has a history of violence or if there is a likelihood of evasion or if you have attempted service previously without success. Advise how to proceed if the servee does not speak English (i.e. can the documents be left with the servee or would you prefer a foreign speaking server to conduct the service). Give the server some time to serve. The first attempt is usually within 48 hours. Many servers will leave a calling card or door tag. Inform the server in advance if you do not want this done. Make sure you clearly understand the server’s fees and payment terms in advance. Many servers will mail the affidavit to the court. Always follow up with the court to make sure it has been received and docketed. All of these factors will go a long way to improving the speed and outcome of the serve.